By Natalie Zmuda and Rupal Parekh . Published on September 06, 2013. Less than 18 months ago Coca-Cola entrusted Publicis Groupe's Leo Burnett with creative duties for its Sprite brand -- and the launch of a major North American ad campaign -- but now the marketer has changed agency partners again. In Leo Burnett's place, independent shop Translation Advertising has been tapped to handle marketing for the lemon-lime soda, executives familiar with the matter say. Both agencies declined to comment, but a spokeswoman for Coca-Cola acknowledged the break with Leo Burnett and the relationship with Translation. She also noted that WPP-backed Johannes Leonardo continues to handle global work. "Sprite has worked with Translation across multiple campaigns for a number of years now," said Kerry Tressler, a Coca-Cola spokeswoman. "I can confirm that they are currently on point for some new work, but don't have any details I can share at this point. ...We do not have any current projects with Leo Burnett." Tying brands closely to music, celebrities and athletes is Translation's sweet spot. 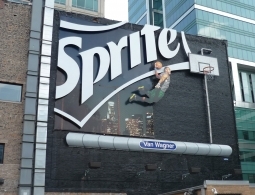 And Sprite has long associated itself with basketball, adding music and film to the mix in recent years. The brand has a long-running relationship with Lebron James, for example, utilizing the player alongside Miles Thirst, an African-American poet-philosopher action figure back in 2004. Mr. James was also involved in the "Uncontainable Game" effort, serving as a coach alongside Kobe Bryant. The brand's spending has been erratic, and it's focus muddled in recent years. Sprite's also been fickle when it comes to agency partners. It's not a big ad spender. The soda brand's measured media spend has ranged from $7 million to $17 million in the last five years, according to Kantar Media. In 2010, the year Sprite spent $17 million, its volume grew 2%, according to Beverage Digest. Last year volume fell 1%, as spend declined to $10 million. It controls 5.7% of the carbonated soft drink market and is the largest player in the lemon-lime category, which also includes Sierra Mist and 7Up. In the last several years, Sprite has worked with multiple agencies -- BBH, Johannes Leonardo, Leo Burnett and Turner Duckworth, among them. With thos shops have also come a number of advertising taglines, including "Obey Your Thirst", "The Spark", "Uncontainable Game" and "There's Nothing Soft About It." That last tagline was introduced by Leo Burnett a year ago as part of an effort to emphasize the "intense" experience that comes with drinking the beverage. The accompanying campaign -- the first and last major work from the shop -- highlighted the experience of drinking a Sprite, something execs admitted had been missing from previous advertising. "We've never linked [the product experience] as overtly as we have now," said Kevin Keith, group director-integrated marketing content at Coca-Cola, at the time. "Most brands go to a lifestyle brand without connection to the product experience. 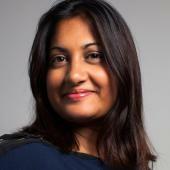 We're trying to link to the product experience more sharply."